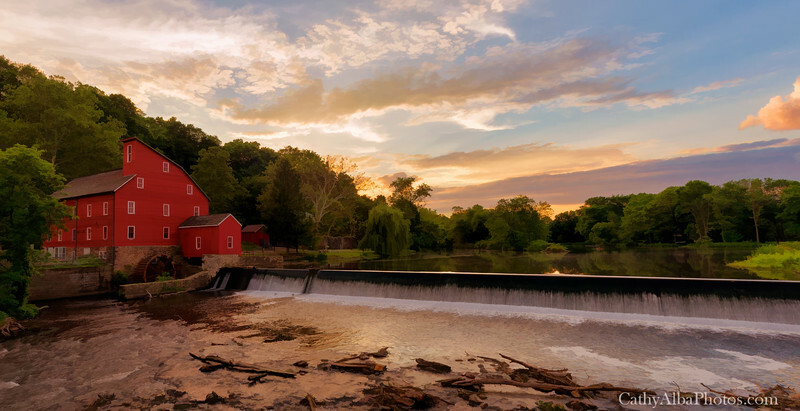 A panoramic shot digitally painted of the Red Mill in Clinton, NJ. The Red Mill is one of the most photographed landmarks in the state of New Jersey. The Mill was in operation from 1810-1928 and ceased operations when it was bought by the Clinton Water Supply Company.